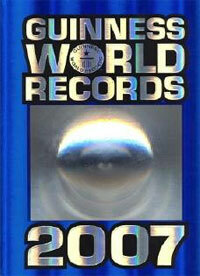 2/17/2008 – In the early 1980s chess historian Edward Winter corresponded with the publishers of The Guinness Book of Records, and improvements to the chess coverage resulted. It was a very different story when he revisited the book a few years ago, and since then he has written in Chess Notes four annual reports on how Guinness treats chess nowadays. Readers may laugh or cry, or both. In 1982 C.N. 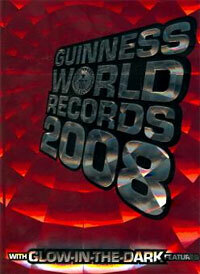 164 reported that we had been in correspondence with the publishers of The Guinness Book of Records. The result was that a number of the book’s inaccuracies were corrected and, in particular, subsequent editions added an entry on Capablanca’s small number of losses in his adult career and his unbeaten record between 10 February 1916 and 21 March 1924. How long Capablanca’s feat remained in the Guinness book we do not know, but certainly it was still there many years later. Before us lies the US paperback 1988 Guinness Book of World Records, which had a chess section some 70 lines long (pages 564-565). 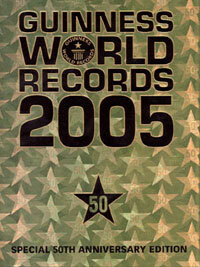 This also featured the most simultaneous chess games, the most consecutive games, the most blindfold games, the longest game, the slowest move, the earliest loss on time, the longest tenure of the world championship, the highest-ranked player, the most active world champion, the youngest world champion, various women’s records, and the longest recorded session of playing chess. The other day we had the misfortune to come across the latest edition, Guinness World Records 2005 (London, 2004), and found that the chess content has been not so much dumbed down as drummed out. There is no chess section at all, the only references to the game being four brief entries under various headings. That is the only reference to chess in the ‘Games & pastimes’ section. On 30 January 2004 Grand Master Peter Heine Nielsen (Denmark) played a game of chess against ChessBrain, the world’s largest networked chess computer. ChessBrain consisted of 2,070 computers located in 56 countries, which simultaneously combined their processing power. And that is it. Not one world-class chess master is mentioned by name. There is no indication that any championship title has ever existed. Indeed, the total space devoted to chess in the entire book is less than that accorded on page 113 to an exploit by Kathryn Ratcliffe (UK), who, on 25 October 2003 and with a tally of 138, broke her own record ‘for the most Smarties eaten in three minutes using chopsticks’. ‘Most moves in a game’: 269 in Nikolić v Arsović, Belgrade, 1989 (although Arsović is named first). ‘Longest correspondence’: two South African players, Reinhart Straszacker and Hendrik Roelof van Huyssteen, played 112 correspondence games between 1946 and Straszacker’s death in 1999. ‘Most games simultaneously’: Andrew Martin’s performance against 321 opponents at Wellington College, Berkshire, England on 21 February 2004. ‘Highest ratings’: 2851 by G. Kasparov in January 2000 and, the highest figure for a woman, 2675 by J. Polgar in 1996. The book’s cut-off point seems to be spring 2005 for the inclusion of records and about 15 for the age of readers targeted. 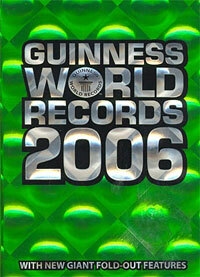 ‘The world’s biggest-selling book’ is the boast on the back cover of Guinness World Records 2007 (London, 2006). Two pages include entries on chess: page 99 has a couple of dozen words about Sergei Karjakin being the youngest grandmaster, while page 137 offers brief features on the smallest and largest chess sets, as well as the following: ‘On 25 June 2005, 12,388 simultaneous games of chess were played at the Ben Gurion Cultural Park in Pachuca, Hidalgo, Mexico.’ That is all. The four entries from the 2006 edition have been dropped. Although poker has five entries on page 136, games such as draughts and bridge receive no treatment at all, and the editorial team’s interests are evidently on a different plane. For example, pages 8-9 document such pivotal attainments as ‘most heads shaved in 24 hours’, ‘fastest time to drink a 500-ml milkshake’, ‘longest tandem bungee jump’, ‘fastest carrot chopping’, ‘largest underpants’, ‘most socks worn on one foot’ and ‘fastest person with a pricing gun’. Our annual report on the chess content of the book Guinness World Records is, for the 2008 edition, of record brevity: there is no chess content. Edward Winter is the editor of Chess Notes, which was founded in January 1982 as "a forum for aficionados to discuss all matters relating to the Royal Pastime". 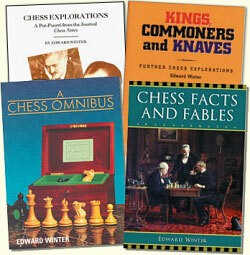 Since then around 5,400 items have been published, and the series has resulted in four books by Winter: Chess Explorations (1996), Kings, Commoners and Knaves (1999), A Chess Omnibus (2003) and Chess Facts and Fables (2006). He is also the author of a monograph on Capablanca (1989). Chess Notes is well known for its historical research, and anyone browsing in its archives will find a wealth of unknown games, accounts of historical mysteries, quotes and quips, and other material of every kind imaginable. Correspondents from around the world contribute items, and they include not only "ordinary readers" but also some eminent historians – and, indeed, some eminent masters. Chess Notes is located at the Chess History Center.